Did you hear? We are having a BIG SALE on ALL clothing in the shop! Take 15% off all regular priced men's, women's, and kids clothes and enjoy an ADDITIONAL 30% off any clothing already discounted! That's over 50% off some of our favorite indie brands! Can't make it in to the shop? Use the code "JAN15" for 15% off clothing in our online shop. Sale lasts though the end of the month! Join us on Sunday October 21st from noon-4p as we participate in Passport - SFAC Galleries’ 10th annual DIY art collecting experience. SFAC Galleries’ signature event puts the art collecting experience in the hands of the general public! Local artists will be stationed in venues throughout Hayes Valley/Civic Center (including gather!) and Passport attendees can “create” their own limited-edition artist’s book by collecting original, artist-designed stamps in a customized “passport” notebook. Walking throughout Hayes Valley/Civic Center, hundreds of do-it-yourself art collectors will follow a designated route to collect stamps from emerging and established Bay Area artists while discovering small businesses in the neighborhood. We will be hosting Grace Rosario Perkins, an Albuquerque and Bay Area-based artist who has spent most of her life living between city centers, as well the Navajo Nation, and the Gila River Indian Community. Her work examines cultural dissonance, disassembling and rebuilding personal history through explorations with color, abstraction, and language. Learn more about the event, the participating artists and host venues, how to purchase your passport and more here. We will be serving mimosas to celebrate and give passport participants 15% off their purchases in the shop from 12-4 that day! The Shops Sale is back! Join us at our new location, Anchor Public Taps in San Francisco as we pop up with a group of locally owned boutiques and designers for a super sales shopping experience. Each shop will be bringing a rack of past styles marked at a steep discount. Help us all make room for our new Fall merchandise in our shops and snag beautiful tops, dress, jackets and more for a steal. Men's and women's items will be marked 50-80% off! This bi-annual event is not to be missed. RSVP and tell all your friends. What could be better than an afternoon of sales shopping and beer? Check back for more additions! Did you miss our Spring sales event? Well you're in luck! The Shops Sale is back this Fall! Join us Saturday October 21st from noon-4p at Temescal Brewing Company in Oakland as we pop up with a group of other locally owned shops for a super sales shopping experience. Each shop will be bringing a rack of past styles marked at a steep discount. Help us all make room for our new Fall merchandise in our shops and snag beautiful tops, dress, jackets and more for a steal. Men's and women's items will be marked 50-80% off! This is a bi-annual event and you won't find discounted prices like this anywhere else. RSVP in Facebook and tell all your friends. What could be better than an afternoon of sales shopping and beer? Kiki Hair Magic will also be on site with a special braid bar! Get your hair weekend ready with a beautiful braid crown! gather's Summer Sale is On! 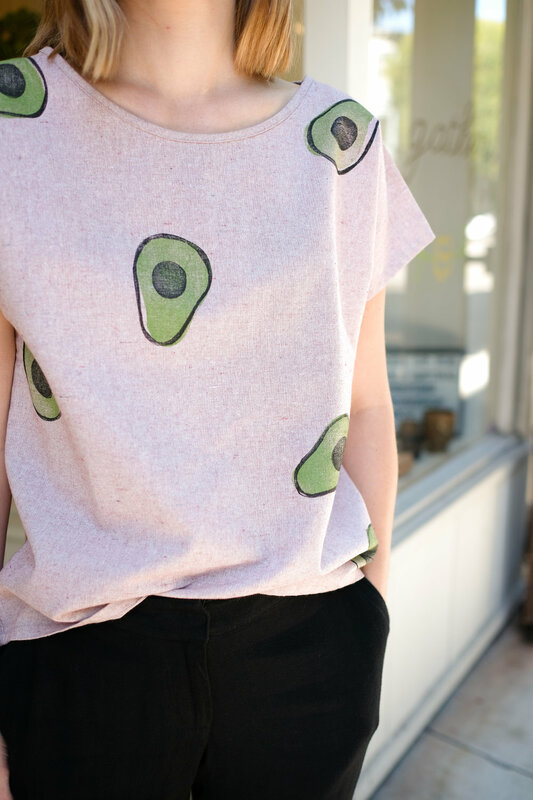 It's summer sale time at gather! Help us make room for our new Fall inventory arriving very soon! We've marked down a large selection of women's clothing up to 80% off. We've got everything from classic Bridge and Burn jackets, to flirty Make It Good dresses, to comfy Curator tops, all discounted for your shopping pleasure! See our favorite picks below! There are a few things on our web shop marked down (no coded needed) but the majority of the goods are in our Hayes Valley store so stop on in soon! Thank you to everyone who came to The Shops Sale on Saturday March 25th! It was my first time ever putting together an event like this and I couldn't have been more thrilled with the turnout. It was bananas! 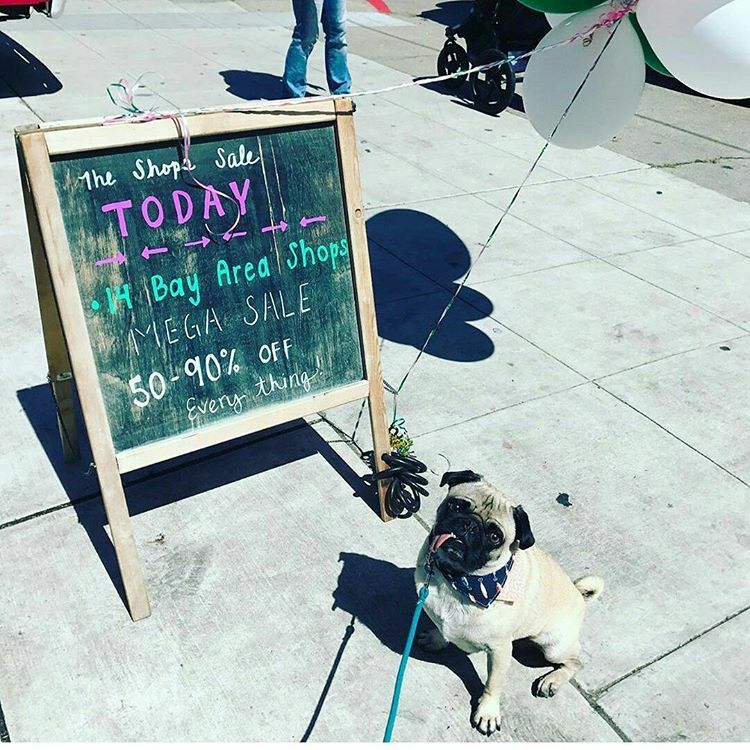 I loved seeing all of the happy customers snagging deals and doing it with 13 of my favorite bay area shops. Temescal Brewing was the most wonderful host - seriously, nothing beats sale shopping and beer! Here are a few snaps from the day. Stay tuned for the next time we do this. We definitely want to do it again! Our feature in the San Francisco Chronicle! Join us Saturday March 25th from noon-4p at Temescal Brewing Company in Oakland as we pop up with a group of locally owned bay area shops for a super sales shopping experience. Each shop will be bringing loads of past styles and goodies marked at a steep discount. Help us all make room for our new Spring merchandise and snag beautiful tops, dress, jackets, jewelry, and more for a steal. And we haven't forgotten about the guys- there will be markdowns for them too! Items will be discounted 50-90% off! This is a one time event you won't want to miss! Show up early for the best selection. RSVP on Facebook and tell all your friends. 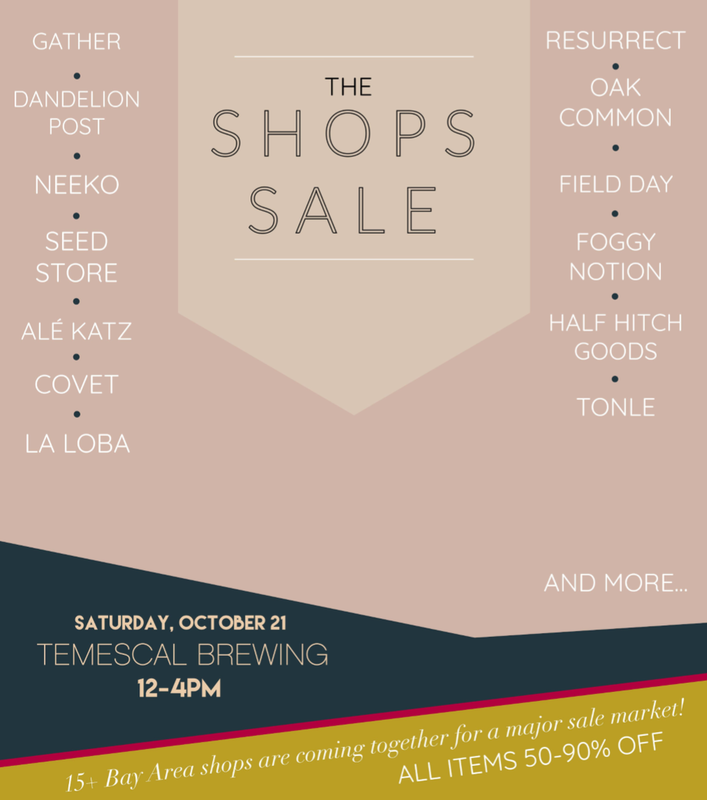 What could be better than an afternoon of sales shopping and enjoying beers in Temescal Brewing Company's courtyard? Roderick's BBQ food truck will be there to help you fuel up while you shop and The Lioness Oracle will be offering tarot card readings! We will be set up with your favorite gather brands, like Preloved, Curator, Bridge & Burn and more at prices you've never before seen! See you there! Happy Cyber Monday! Enjoy 15% off* our online shop today with the code "mistletoe" at checkout. We're freshly stocked with locally and independently made goods that make the best holiday gifts. Need some inspiration? Peruse our new specially curated gift boxes. P. S. Just a handful of spots left for this Thursday's Block Print a Top Workshop. After learning how to make your own stamp, you can use it to make custom holiday gifts! *Includes sale items so you can save even more! Excludes giftcards and workshops. Sale ends 11/28/16 at midnight. If you live in San Francisco, you have to be prepared for the ever changing weather. Out in the sun, you'll want to wear a light top or dress but cross the street to the shady side and you'll need a sweater or light jacket stat! Because you need so many pieces just to get from sunrise to sunset on a daily basis we are having a Fall Stock Up Sale! Here's how it works: buy any 2 clothing items (men's, women's or, baby) and you'll get a 3rd item HALF OFF*. But hey, want want more? Buy any 3 clothing pieces and we will give you the 4th for FREE*. Yes, that;'s right we said FREE. So now is the time to stock up your closet and score big on all our new Fall arrivals. Hurry this sale won't last long! *Discount taken on the lowest priced item. Here at gather we are busy making room for new Fall arrivals and need your help! We're marking down tons of new women's and men's styles. Save up to 60% starting today on favorite brands like Bridge & Burn, Curator, Theia Grazi, Harumi K, Curator, Tank Farm and more! Most of the sale items can be found in our shop in Hayes Valley but we're adding select items to the website so be sure to take a peek. We've got dresses, skirts, tops, and jackets all marked down. You'll even find some never before marked down jewelry in the mix! Thanks to everyone who stopped by on Small Business Saturday! We are so grateful for your support! Here are a few pictures from the day. Missed out on the fun? Be sure to shop our website for holiday gifts. O and check out our blog for a special discount for Cyber Monday! Even our little babe Hunter was able to attend! Kelly from Elizabeth Street Cosmetics doing lip touch ups. Loved seeing everyone get made up! It's been a busy week with lots of beautiful new pieces arriving for Spring - we've got to make some room! Starting today, you can take advantage of our Spring Cleaning SALE by enjoying discounts on lots of favorite items. Now's the time to get that piece you've had your eye on! With up to 60% off brands like Curator, Bridge & Burn, Nooworks, and Preloved, this is a sale you won't want to miss. Swing by soon, the sale won't last long! We've got Presidents Day in the Bag! One of the lucky ones with work off today? Pop on in the shop and enjoy our Presidents Day Sale! We are offering 10% off all bags less than $100 and 20% off all bags more than $100. Had your eye on a purse or tote in the store? Like our favorite leather bag? Now's your time to grab it. Hurry though... this sale ends this Sunday Feb. 22nd. Not in town? Enjoy the discount on our website. Everything is already marked down so no need for a coupon code. *More colors/prints available -email us to see more!